Hair loss treatments take a long time. That’s just a fact. Almost all hair loss treatments, whether chemical, topical, or Low Laser Light Therapy can take anywhere from 3-6 months to produce results. That’s not necessarily a bad thing; but if you’re experiencing balding, you may want a more immediate solution to cover up your rapidly thinning hair while your more long-term treatments begin to have an effect. The solution to this is a relatively new class of products known as hair fibers. Usually made from synthetic keratins or other proteins; these products are shaken onto your head; and bind with your natural hair fibers to create the illusion of thick, full, healthy hair. They generally last until your next shampoo, and are relatively inexpensive. The visual effect is immediate; as long as you still have some hair, you’re going to have a thicker and fuller look as soon as the proteins bind to your existing hair. We’ve catalogued the 7 best hair fiber products on the market, suitable both for men and women, so that you can have a buying guide to refer to when you’re looking for one of these products. 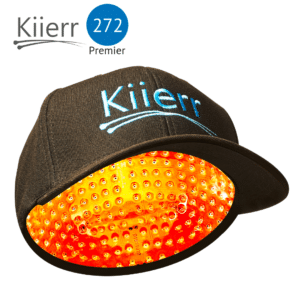 7 Read Next: See our top laser cap picks to grow your hair in 2019. The human hair is known as the hair follicle. The hair follicle is a protein called keratin. The hair you see on your head is dead keratin cells. The dead keratin cells are pushed out by the new and developing keratin cells under the skin. Hair fibers are products with the same protein content as the hair on your head; keratin. 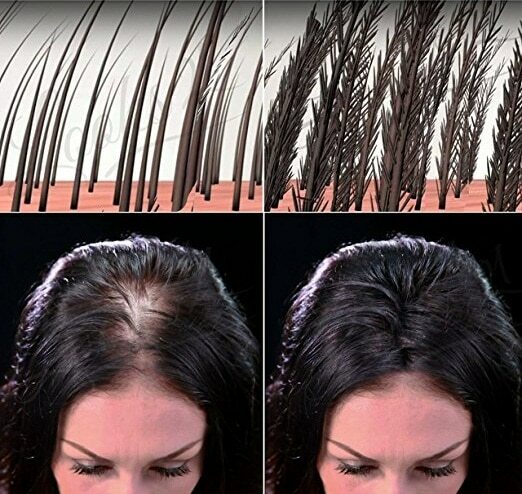 This product is the perfect product for treating hair loss or hair thinning. What hair fiber products does is that it not only conceals the scalp or the bald part of the head, it also strengthens thin hair. * Hormones; if the visceral level (the androgen) is high, then hair loss is inevitable. * Genes: genes play a very crucial role in hair loss. If your ancestral biology has show signs of hair loss, it is inevitable that you may also have this problem of hair loss. 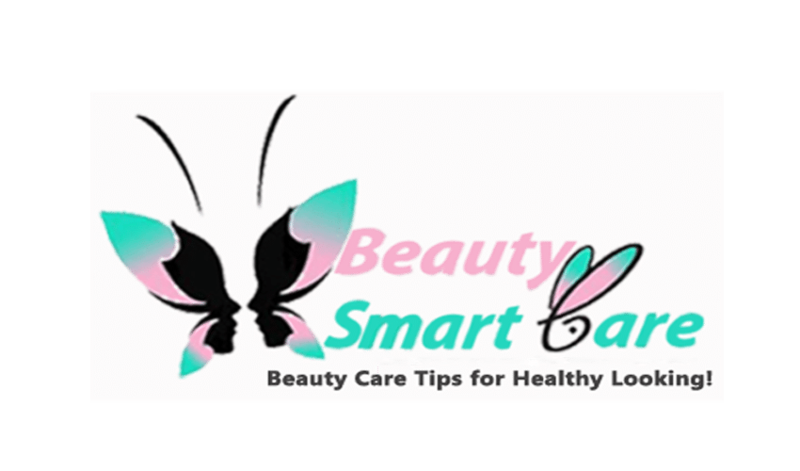 * If you are stressed out, or for ladies, during childbirth, or maybe you are sick, you may experience a temporary loss of hair. 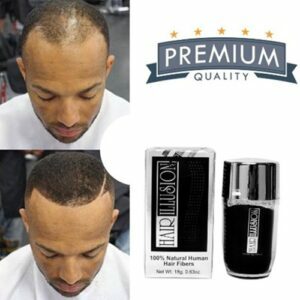 * Sometimes even the cosmetic products you use, (like the often use of shampoo) can cause hair loss. * Did you know that if your diet doesn’t have enough protein, which you will experience hair loss? Well, now you know. The keratin in the hair follicle is protein; this protein is essential for hair growth. * X-rays and injuries also cause temporary hair loss. Hair loss can be very embarrassing and annoying. 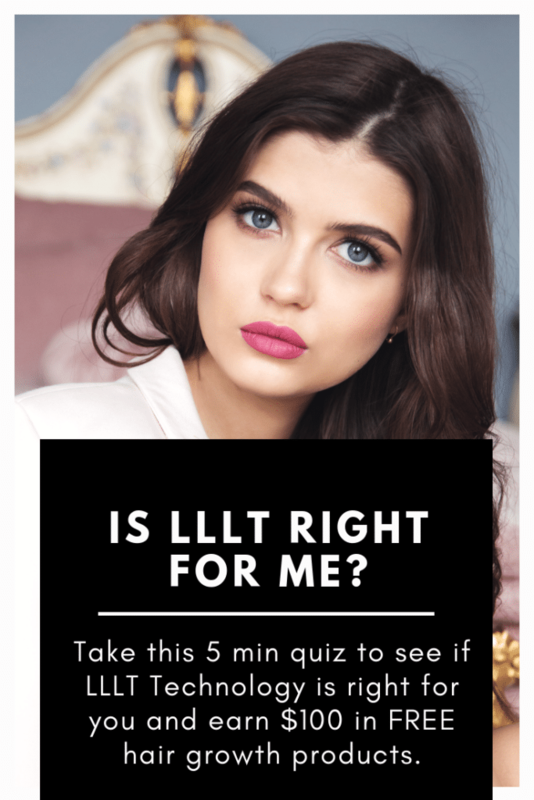 That is why as I said earlier, many cosmetic companies have dedicated so much time to making concealers and hair fibers both of which, they use to conceal and strengthen thin hair strands. If you want to conceal a bald spot, you apply the concealer on the bald spot and your good to go. This spray is totally waterproof and organic and its fibers are compatible with other hair loss medications and standard hair styling products. It’s rain, water, and perspiration proof, only releasing its tight hold on your existing hair when you shampoo it out. This particular thickener is intended for darker hair, and the organic microfibers come in a convenient spray bottle. Simply uncap, aim, and spray at your problems areas. The all-day hold technology will ensure that your hair maintains a full and healthy appearance until you shampoo it out. It has the additional effect of protecting your scalp, which is very favorable if you’re using other topical hair growth treatments; in addition to this coverup technology. The CUVVA hair fibers are made of high quality keratin that interlace with your hair unnoticeably, giving the subtle appearance of thick, full, and healthy hair. Simply shake out the fibers onto your head, and pat them down. We recommend the hair spray of some sort for the longest possible hold. Like all of these products, these hair fibers will not be able to mimic the appearance of a full head of hair if you have very extensive hair loss; they require natural hairs to hold onto and bind to, to give the appearance of a full head of real hair. The recommended hair length for this product is 1.5 inches, though it can be used if you have less hair. Customers report tremendous satisfaction with this product, and say that it binds completely unnoticeably to their existing hair. This hair loss concealer comes in 7 colors, including blonde, grey, white, and several varieties of brown. This natural product is free of animal ingredients, synthetic dyes, fillers, and preservatives, and is suitable both for women and men. Caboki contains only Morccan Gossypium Herbaceum and mineral-based colorants; meaning it’s vegan and organic, safe for anyone to use, and totally natural. This also means that no scalp irritation will occur while using this product; as it’s free of any kind of harsh chemical ingredients. Totally weatherproof and sweatproof, this product is subtle, long-lasting, and totally safe. If the ingredients in these hair concealers ever made you wary of trying one, we recommend Caboki. All-natural ingredients mean there’s nothing to fear. This product is a great value, coming in a 60g bottle that can easily last over 90 days. In addition, it comes in 10 colors, making it suitable for just about anyone. Application is incredibly easy as well. Just shake and pat, or make use of the extra Precision Pump Attachment to apply to problem areas quickly and accurately. After application, you can simply pat your head to lock your fibers into place, and, if desired, make use of the Infinity Hair Fiber Locking Spray to lock your fibers in place, giving you the appearance of a natural, full head of hair. Apply to thinning areas and bald spots such as the hairline and the crown of the head; guarantee that this product will make you feel more confident, giving you the appearance of a full, healthy head of hair. Unlike many other products on the market, this offering from Hair Illusion uses 100% natural human hair, not synthetic keratin or any other sort of thickening agent. This means that when it binds to your hair, it does not ever look fake or synthetic, and is totally undetectable, even by people very close to you. This makes it very discreet and easy to use, and you never have to worry about having your hair care regimen revealed to anyone you don’t want to know about it. If you’re looking for a coverup product that’s made of real hair, and guaranteed to be undetectable, this is the one for you. 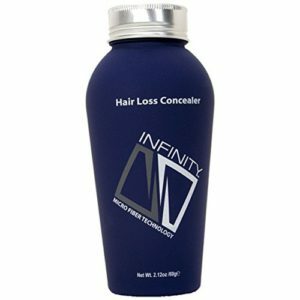 This Hair Thickness Maximizer is made with plant based concealing filllers, and instantly thickens thinning and balding hair. Available in 6 colors, and inexpensive, the plant extracts of this product bind with your hair; and it’s totally free of carcinogens and heavy metals. They are guaranteed for an all day hold, and they won’t shed. 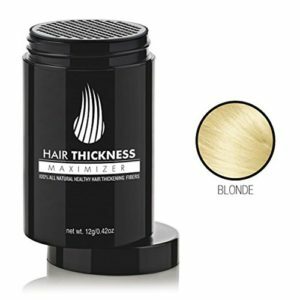 If you’re looking for an inexpensive way to try a standard hair thickener, it’ll be hard to find a better deal than this Hair Thickness Maximizer. If you’re looking for ultimate color variety, look no further. 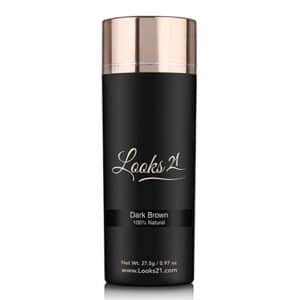 This Looks21 Hair Loss Concealer comes in a dozen different colors! Even if you have a hard-to-imitate hair color, you’re sure to find a color here that works perfectly for you. The static charging technology in these fibers assures that they can bind to your hair even without expensive topical hairsprays and fasteners, yet they still are removed easily with a standard shampoo. In addition, the subtle coloration ensures that even if your chosen product doesn’t match your hair color perfectly; it will blend into it, creating a seamless color and look perfect for anyone with hard-to-match hair colors. Vegan, heavy-metal free, and totally natural, made from plant fibers rather than synthetics; this product is a great choice for anyone with a unique hair color who is looking for a hair fiber that’s right for them. You can apply the hair fibers on your dry hair; the idea is that the hair fiber act a static electricity that brings all the hair together. You have to let the hair dryer, even if you’re applying gel, ensure that the hair is dry unless you want a lumpy hairstyle. When you apply the hair fiber, you can style the hair anyhow you want. Ensure to use the right color; if you’re going to ensure that your bald hair, or rather, areas where there are scanty hair follicle, you should buy hair fibers that match the color of your hair. There are a total of 9 natural colors to pick from; this color range is good enough to choose from. Please (and very important), use the right amount; using the right amount gives you the desired result. Remember that hair fibers are like static electricity; you do not want to use so much, because you do not want your hair to look like an ironed sewing thread. Using a small amount of the hair fiber, gives you a very good result. Try to use the hair fiber’s accessories, like the hair fiber applicator, when applying the hair fiber; When you use the applicator, it spreads the fiber evenly around the target zone, which gives an even better result. You would want to use the another accessory, called the fiber holder spray. The conveniently holds the hair fiber in place. 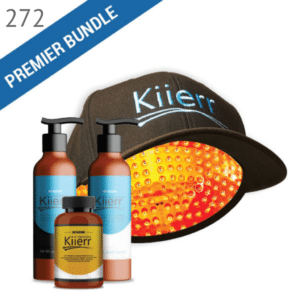 It is advisable that you get all these accessories to get a good job done your hair. Always be careful of water and moisture when you have fibered your hair. And it is also recommended that you use thick and good shampoo to wash your hair. Hair loss can be a real pickle, especially when you’re nowhere getting old enough to start losing hair. It can be so embarrassing that you begin to lose your hair when you could merely flaunt your hair, and style it; so I say again, losing your hair can be a real struggle. It is because of this, that cosmetic industries, devote so much time to producing hair products for hair growth and products for strengthening hair strands. 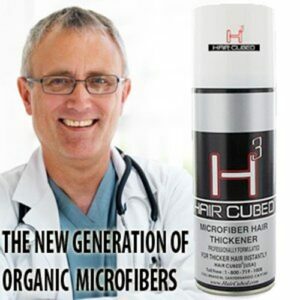 Hair Fibers saves millions yearly from the embarrassment of hair patches. It is one of the top cosmetic accessories; and it goes to show how much people spend on their hair. It is no secret how much effort people put in, to have the perfect hair. That is why you cannot put a price on your perfect hair. We hope you enjoyed this list of hair fiber concealers. These products really do work. They’re not permanent, and they’re not real hair; but they really help cover up patches and thinning hair, giving the appearance of healthy volume and sleek style. If you don’t want to undertake expensive treatments, or you want a good way to cover up your thinning hair while you’re getting started with clinical hair regrowth techniques, these products are perfect for you. But don’t just take our word for it. Check out this list, do your own research, and find the product that’s right for you. Read Next: See our top laser cap picks to grow your hair in 2019.